HAPPY SPRING! from the Buffalo State College Senate. On campus Parliamentary Training session on May 28, 2019. The Senate Bylaws and Elections Committee will be hosting a parliamentarian training session on May 28, 2019 in Grover Cleveland 418 from 9:30 a.m. to 2:30 p.m. The first part of the day will be facilitated by Dr. Sharon Cramer, who has served as the Buffalo State College Senate and SUNY University Faculty Senate parliamentarian. During this session, attendees will learn about practice, procedure and process relative to parliamentary duties. The second part of the session will be facilitated by Dr. Slade Gellin, who serves as the Buffalo State College Senate parliamentarian. We will break into small groups and work through proper procedure and required practice relative to a variety of senate scenarios. Registration is open to the Buffalo State campus community through April 18, 2019. After that date, other SUNY comprehensive campuses will be invited to attend. Space is limited. LISTEN TO THE SENATE MEETINGS VIA PODCASTS POSTED AFTER EACH MEETING. THIS NEW FEATURE IS ONLY AVAILABLE WITH MEETINGS STARTING IN FALL 2016. 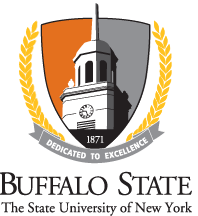 SUNY'S Buffalo State College is committed to shared governance via the College Senate. The Senate is a formal partnership between the administration and the constituencies of faculty, professional staff, support staff, and students. The Senate conducts business as defined by its By-Laws. Senate meetings are conducted according to Robert's Rules of Order. The parliamentarian to the Senate is appointed by the Chair. Both the Parliamentarian and the Chair of the By-laws and Elections Committee should have copies of the same edition of Robert's Rules. The College Senate currently refers to the online version of the Fourth Edition of Robert's Rules of Order Revised.